Looking for refrigerator repair service in Mumbai ? Now get repair your any types of refrigerator include - direct cool, cyclical and frost-free refrigerator at your doorstep from our experts in Mumbai. Our professionals will provide you repair, installation and all type refrigeration services for all brands indian and imported brands such as LG, Samsung, Whirlpool, Kelvinator, Blue star, Videocon, Godrej, AEG, Maytag, Electrolux, Panasonic, Hitachi, Haier, Bosch, Siemens etc. Just call, write to us for repair, service, parts and maintenance. For us it does not matter where you bought it ? 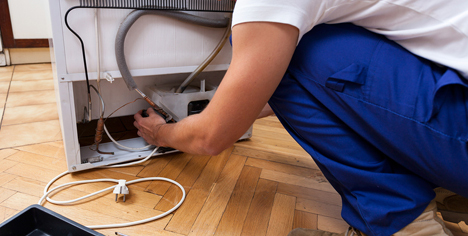 we do service at your own place at lowest price with after service warranties !